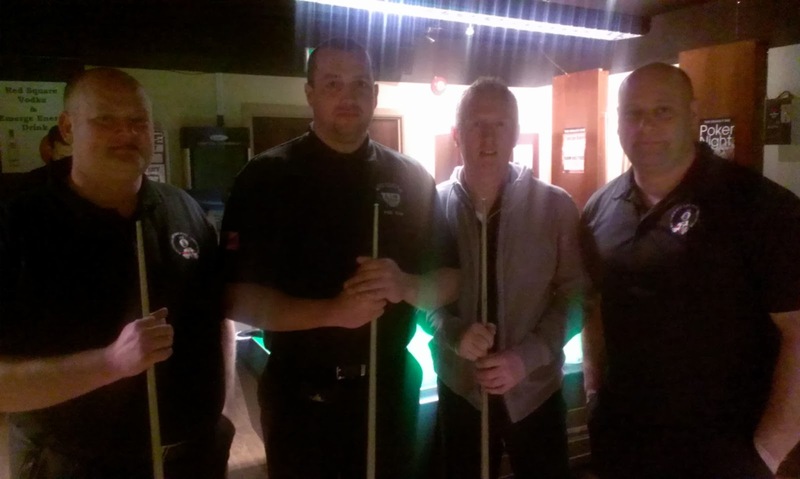 What a fantastic day of Blackball Pool at the 2014 Northern Ireland Mens Doubles Championship in the Primacy Sports Bar, Bangor on Sunday 9th March. 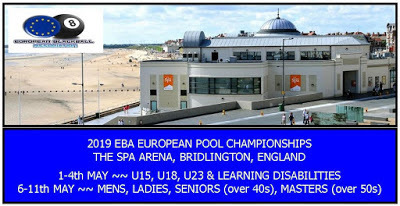 64 players vied for the title but when all was done and dusted Sam Newell and Ronan McCarthy put their name on the NIPA "Roll of Honour" for the fourth time in five years. It could have been all so different though as the holders trailed Ballyclare duo Stephen Herron and Alaister Wilson by 0-3 in their Semi Final only to storm back for a 4-3 win. Waiting for them in the Final was Coleraine pair Billy Moore and Lee Caulfield who overcame Lisburn's Stephen Johnston and Antrim's Kenny Geddis also by a 4-3 Semi Final scoreline. In the Final Newell and McCarthy were looking comfortable leading 4-2 needing just one more frame for victory. But two precise 8 ball clearances from Moore and Caulfield took it to a deciding frame. Just when they looked like running out another 8 baller, they part snookered themselves on the black off their last yellow. McCarthy stroked in a do or die long red and they duly cleared the table to take the title. The pairing now have an amazing 25 Northern Ireland titles (Individuals & Doubles) between them.